In this post, I’ll explain why buying followers are one of the worst steps that everyone used to prefer as we are getting an immense number of followers without any work nor time. 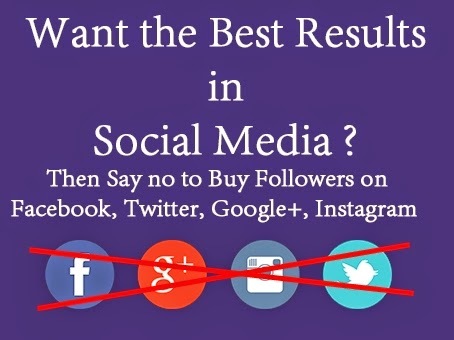 Mainly buying followers on Twitter, Facebook, Google Plus and Instagram are too bad which makes you feel waste after you buy them and you will not get any good outputs from them. Why do not we buy twitter followers? Somebody might say that buying Twitter followers will allow you to increase the engagement of your brand in the social network, but nothing is further from reality, as it is absurd, because for this phenomenon of the following features of the engagement on Twitter. Being a real profile and not created by software. You must have an affinity with the topics of my posts. It must be an account with enough activity on Twitter. And in the case of buying followers, neither of these conditions are met. When shopping at Twitter followers all you’ll get is “inflated” the number of followers for the sole purpose of feeding the “ego” of your brand and pretend the provision of a social community, but ultimately comes down to it, a thin layer of appearance that can easily be discovered by any professional who has some experience in social media. What happens when you buy followers on Twitter? When you ask for followers like how to get followers on Twitter every one used to say like use some free tools to get followers nor buy them. That is a simple way to get followers without any tough action from your side, but I will explain exposing some negative aspects that could result from this action. Buying followers are one of the worst cases of the negative reputation of a brand. This being so serious that it could happen that this does not recover from this serious blow, at least his credibility would always be in “questioned”. When you buy followers it makes you loose credibility of yourself and when your original followers come to know that you got fake followers then this will be a big blow to you to lose your real followers. While the brand is still inflating of thousands of followers of authenticated doubtful, and the real followers of your profile came to know about you then you may lose the originality of your followers. One of the easiest ways to intuit that the process of obtaining followers an account has not been natural and is obtained using artificial processes is analyzing their engagement in social networks. This seems logical, because if we introduce thousands of fake followers this may affect the accuracy of my analysis of the social strategy. Normal if you think about it since being fake profiles will not perform any conversions nor any business through online if you are into an online working business. Surely, when a company or professional buying followers on social networks will be looking to your brand or rapidly approaching him. Even you have to think that as the Social Network do a sweep of false followers and delete these disappear even could lead to suspension or temporary blocking of our own Social Media and if it detects that something we had to do in this process. 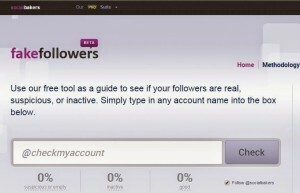 These tools will help you to identify the fake or inactive followers on our social network profiles. Just take a look that everyone can know what is real and what is unreal in this world. Free tool to analyze our false followers on Twitter. In a few seconds, it will show a list of them for us to clean up our twitter account. 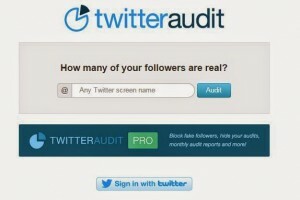 Free tool to detect false and inactive followers in our own Twitter profile. Tool that we can use for free and also paid one. The payment option will allow us to eliminate false followers in a very simple way, and hide our analysis. It allows any company or brand to analyze their fans on Facebook. With this tool, you can analyze the inactive users from your Instagram account and are able to leave them to follow manually. With this tool, you can analyze the growth in gaining followers of any account and compare their level of engagement, and thus it is very easy to detect buying followers on Google Plus when their accounts with a high number of supporters and the engagement are very low. The most important thing is when you are managing any social networks like Twitter, Facebook, Instagram, Google Plus or any other social network, try to get a community of active followers with your own brand. In any case of getting followers, this is an action that requires time and effort to get quality followers. So, I heartfully suggest everyone get own and active followers who increase your popularity online/offline. Don’t buy fake followers which turns off your online business and send you to the darker side of life. This article is just creating an awareness among the people who used to buy social network followers online. If you really want to get active followers online for all your social network profiles. Then just spend a few minutes of time and read this post Tips and Tricks to get genuine followers online in all Social Networks Like Facebook, Twitter, Google+. Spending a few minutes for a good read is not a big task. Read and Make your work well online. This is often ann amazing publiosh you’ve manufactured. tbat i obtainwd fom ubot, Free and Easy bot maker for Social media. It lets me automate all the things and i manufactured one particular too find wonderful posts such as this. itt requires no programming it’s genuinely rapid. You must test itt out, seriously are unable to go incorrect. outdated rewhashed information. Excellent read!